They’re all over Instagram and Pinterest: cute little meals, each in their own plastic container, all lined up. 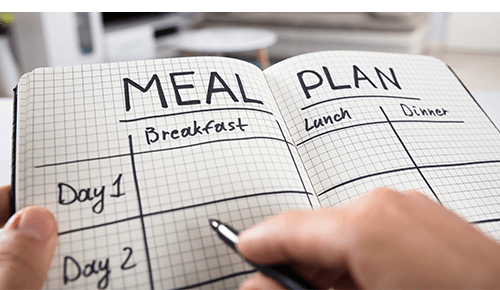 Meal planning by-the-week has become a big thing, and maybe you’re thinking about starting yourself, or wondering what’s even important to consider when it comes to planning and preparing your meals for the week. Q. How does meal planning promote healthy eating? Planning your meals for the week helps you make healthy decisions before you’re hungry in the moment. 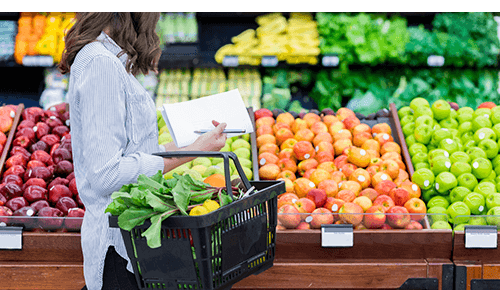 You can figure out how many vegetables, fruits, lean meats and snacks to purchase to last the week and make it more convenient to eat at home rather than at a restaurant. But meal planning is more than a menu, it takes into consideration everything going on in your week and how much time you’ll have to prepare food given your whole schedule. If you know your child has soccer practice on Tuesday until 7 p.m., you can plan to have a slow cooker meal that day. Q. Are there other advantages in meal planning beyond nutrition? There are a lot of advantages for your budget! Planning helps you avoid overbuying and wasting fresh foods. And it reduces stress. When I’m driving home I know what I am making or heating up for dinner, not trying to figure out what I have or whether I need to pick something up. Q. Why not just buy frozen meals every week? Frozen meals are not as healthy as making it yourself because you can’t control the fat, sugar and sodium content of the meal. And when you plan, you can often make a similar meal for much less than a frozen meal would cost. Q. When is it best to go food shopping or prepare meals and how many days to I prepare at once? That depends on everyone’s personal schedule. Sometimes I go grocery shopping after my child is asleep, or on Saturday mornings before the rush. There’s really not a bad day or time, just whatever time works for you. As for how many days to prepare at once, that again depends on your schedule. For me, I prep all lunches and dinners for Monday through Thursday on Sunday, but even prepping a couple of meals can make your week a bit simpler. 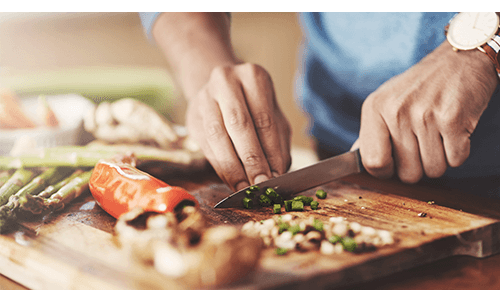 Planning does save meal prep time – if I need to chop onions for one dish it doesn’t add on much time to chop for two or three more meals. Q. How long does the food stay fresh? That depends on the food. For meats, I look at the sell by date or ask the butcher. Seafood usually needs to be used within 1-2 days – if you need it later in the week, frozen may be a better option. I only by enough fruits and vegetables to last a week. You can buy a mix of ripe and not as ripe so they’re ready later in the week. Q. Should I plan every meal? Only lunch and dinner? For the most cost savings and to make sure you have adequate food for the week, I suggest planning all meals and snacks. If you are hungry and don’t have a healthy snack option available, you may be more inclined to reach for a cookie or potato chips. Q. What do I need for cooking and storing my meals? Just be sure to have adequate storage containers for a week’s worth of food. Q. What are some good resources to use for food planning? I personally just use a notebook and write out a week, nothing fancy. Then I can turn back and review previous weeks if I’m having difficulty thinking of meals. There are plenty of apps to use, but a notebook just seems to work the best for me. Q. Does meal planning mean I’m eating the same thing every day? Some people like to eat that way, some need variety – whichever fits you is the best way to go. Personally, I often have the same thing for breakfast one week and then switch it up the next so that I only need to buy one thing, and I can base that on sales also. You can also plan on making leftovers of dinner to take as lunches. Q. Do I never dine out again? Not at all! But wouldn’t you rather plan your dinner out than be stuck eating out because there isn’t anything to eat at home? Q. What is important to keep in mind when planning? Calories? Nutrients? Types of food? Choose lots of fruits and vegetables. For proteins, choose lean cuts of mean like skinless turkey or chicken, pork tenderloin, ham, sirloin steak or 90/10 beef. Choose whole grains (oats, quinoa, whole wheat, farro, brown rice) and beans. For packaged foods, check the ingredients and nutrition label. 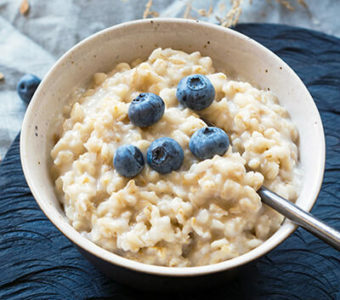 If it’s cereal, granola bars or crackers, make sure it doesn’t have added sugars as one of the first few ingredients – that includes high fructose corn syrup, honey, molasses, agave nectar, brown rice syrup or maple syrup, to name a few. Keep saturated fat and trans fat intake low. And choose low-fat and low-sugar dairy products. Q. What are some tips for being successful with meal planning? Are there any pitfalls to watch out for? Plan to use the same ingredient in multiple meals. That can help you save money by buying in bulk and you can chop or cut up the same food for multiple meals at once – tomatoes can be used in Italian meals, salads, taco nights, etc. Always check to see what’s on sale at the store and base your meals from that so that you can have the most cost savings. Pitfalls can happen when you try too many new recipes at once that require lots of specialty ingredients. Your grocery bill can add up pretty quickly. Also, think about how much prep time your meals require. If you don’t have a lot of time during the week, steer toward simpler recipes. Q. What if I can’t cook!? Start with simple meals, search for easy recipes and follow the directions to a T. Using a slow cooker is an excellent way to start cooking, because you can set it and leave it to cook for a few hours. There are also places like Sur La Table that offer cooking classes. You can make it fun night out with friends or a date night! OhioHealth registered dietitians are available to help you make healthy choices and changes in your diet. 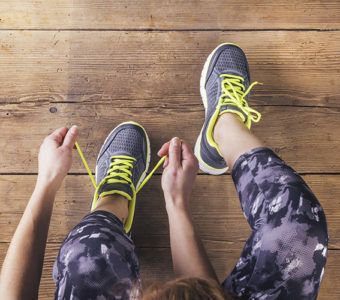 Contact us at the McConnell Heart Health Center, we’re ready to support you!